Wine Glass Charms & BookMarks! 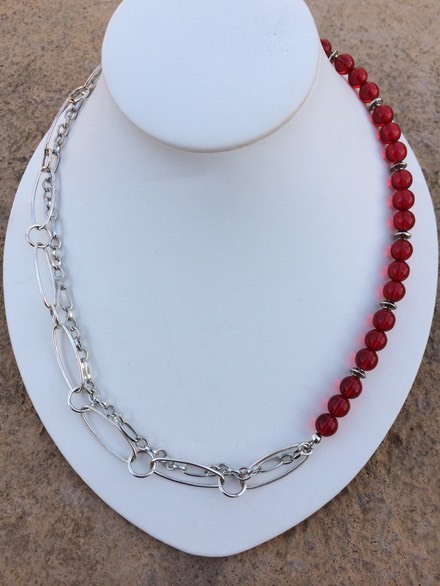 FUN necklace with strands of silver-plated chain, and Czech Pressed-Glass round Red beads. Lobster clasp. 20" length.